I don't even know how to start this post! I'm just too excited to show you what I got for the month of December. If you haven't heard, Morphe just came out with a monthly subscription for brushes:D You pay $19.99 ($20) and they ship you a $30 value of brushes right to your door each month. This is perfect to apply foundation or any kind of liquid. It leaves no streaks and gives you a flawless finish. My new favorite eyeliner brush. It draws the best wings! I am amazed at how inexpensive this brush is. It is honestly better than any other brush I have used to create a winged liner. This brush is so easy to maneuver. This one is beautiful to apply bronzers. I will say that mine is shedding a tiny bit... not sure if this is normal. But, I still use the brush because I really like the way it applies my bronzers. I can create a nice blended contour and it makes application very quick since it's a large brush. I like using this soft fan brush to apply highlighter on the top of the cheek bones, bridge and tip of the nose, and cupids bow. I use it at an angle for a soft application, and slanted at a horizontal angle for heavier application. I can't wait to see what I'll get this month of January! 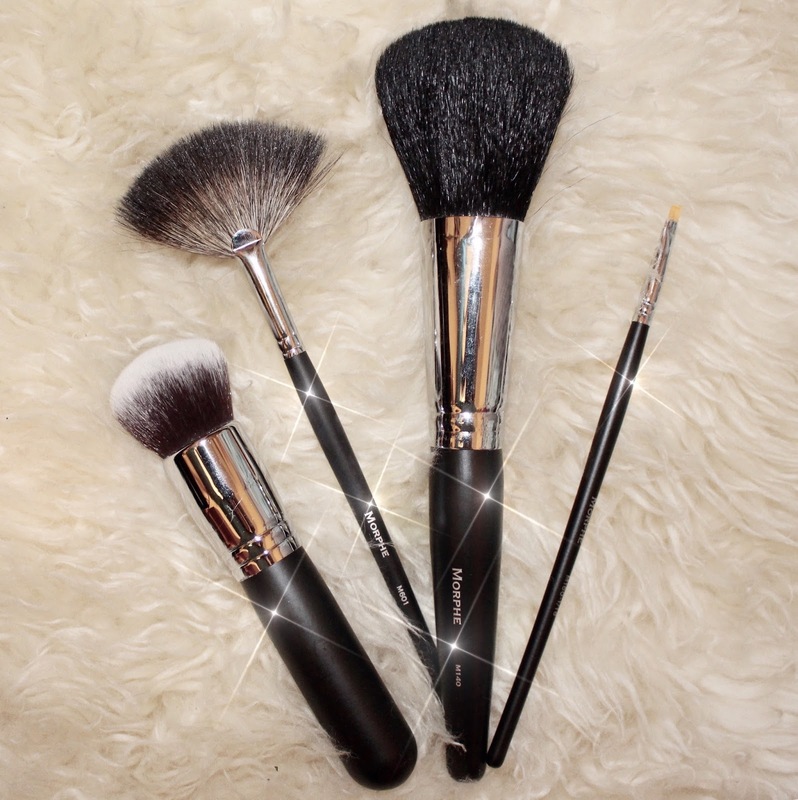 These brushes are always put to great use. Do you guys have any monthly subscriptions that you love? Let me know in the comments what you recommend! What is a brilliant subscription, especially for those just starting out, gonna let my clients know about this! Haha, I would've used mine already too; it's so exciting getting new brushes!